The EnQ hair serum is free from harsh chemicals, contains no sulfate, mineral oil and parabens. It helps to detangle hair & also keeps them soft and shiny for a long time. Just use a few drops on damp hair for hair free from frizz. 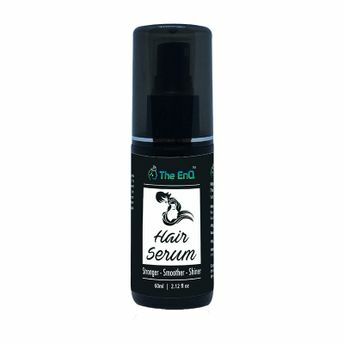 This smoothing serum can be used as a detangler, conditioner, heat protectant, styling and finishing aid for all hair types. Ideal for both men & women.